From his very first day in public the brilliant champion stallion of the licensing in Neumünster 2004 inspired. The breeders and the press were united: The best champion stallion in recent memory. 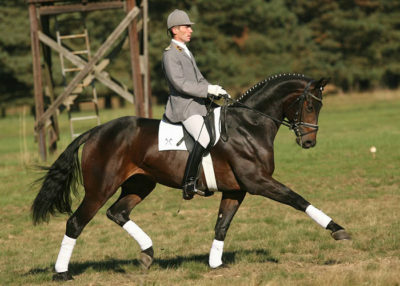 Sire Prêt à Porter was premium stallion himself and originates from Klosterhof’s successful sport horse family of Perlmuschel. 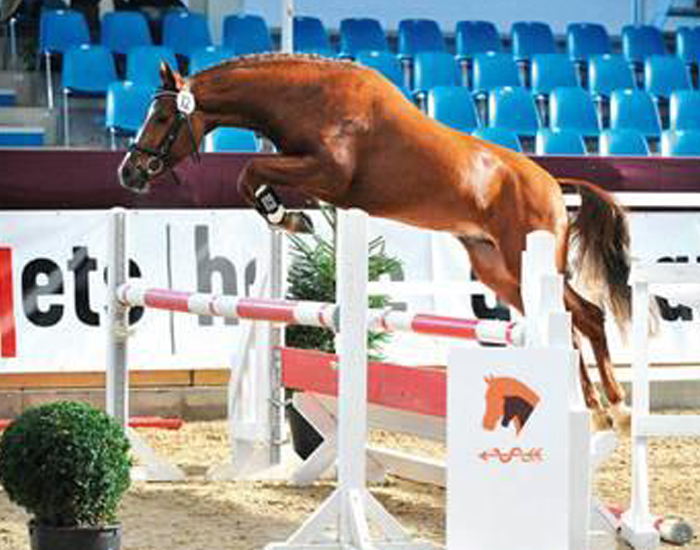 State premium mare Lantana was national champion in 2000 and priciest horse in Neumünster. Her sire Tycoon accounts for vice champion C’est Bon as dam sire. Elite stallion Michelangelo proved his breeding value with his son Michellino, ranking fourth at the international Grand Prix-Ranking. 2005 Le Rouge finished an outstanding 30-Day-Test in Vechta and achieved the second best dressage score with 9.01 points. After winnings of Young Horse Tests, Le Rouge became National Trakehner Champion and he was finalist of the German Young Horses Championships in Warendorf. 2006 he became National Trakehner Champion and qualified for the German Young Horses Championships again. Knocked down at a price of 25,000 Euros the top foal of the Trakehner auction in Neumünster was provided by Le Rouge. 2007 Le Rouge was runner-up in the qualification for the German Young Horses Championships in Warendorf. 2008 he became National Trakehner Champion – again – and he was tenth in the final of the German Young Horses Championships in Warendorf. From his first year of foals three stallions were licensed. Iskander from Le Rouge-Hohenstein was champion stallion of the Trakehner licensing. 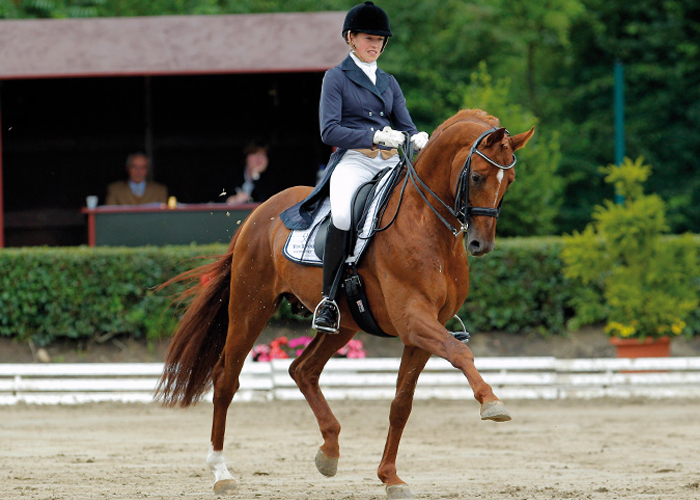 2009 Le Rouge won advanced level dressage competitions. 2010 he achieved winnings and placings at advanced level dressage competitions. 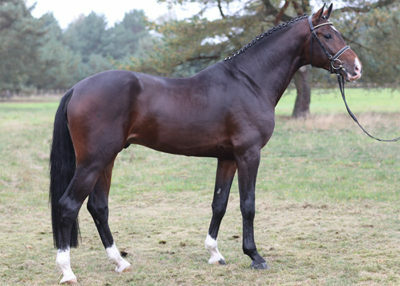 Le Rouge provided the premium stallion Banderas in Neumünster, who is sold to state stud in Warendorf. 2011 Le Rouge and his rider Vera Nass were runner-up of the change of horse competition at the German Dressage Derby in Hamburg. 2012 Le Rouge was highly successful with his rider Paula de Boer and won several advanced level dressage test. Le Rouge provided the Champion Mare of the Year in Neumünster, by far the most appraised mare of her year.